Terrorism Fails – 1919 America – Mark Loves History! 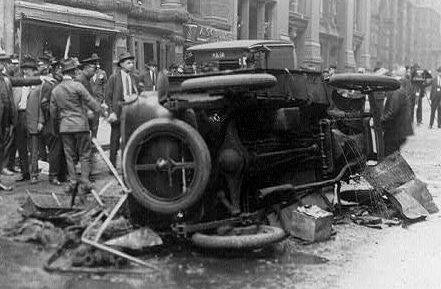 Today in History, June 2: 1919 – Galeanist Anarchists set off 8 bombs almost simultaneously across the country. They were communist sympathetic anarchists that were trying to kill leaders they thought were preventing the over throw of the US government. 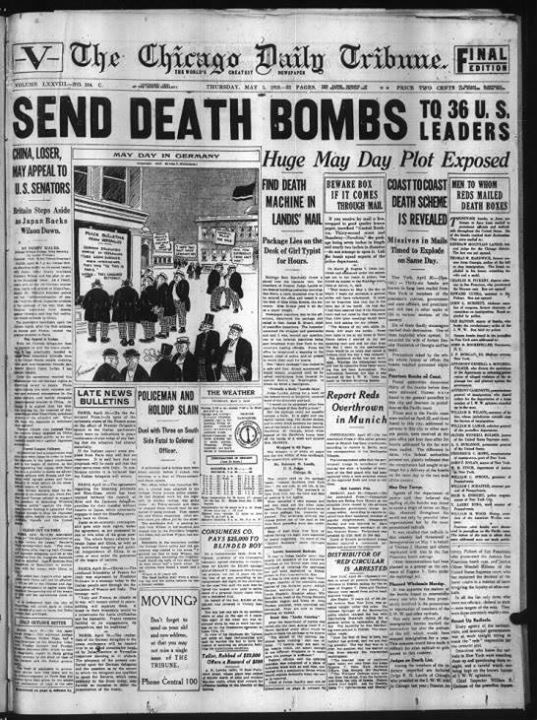 In April they had sent 36 mail bombs to government and industrial leaders including John D. Rockefeller, Supreme Court Justice Oliver Wendell Holmes, J. P. Morgan, US Attorney General A. Mitchell Palmer, US Secretary of Labor William B. Wilson amongst many others. During the June 2nd bombings, they again targeted one of their primary enemies, Attorney General Palmer, at his home. The bomb killed the bomber when it went off prematurely, injured his housekeeper and his wife, and did significant damage to his home. His neighbors that lived across the street at the time barely escaped injury or death themselves, as they had walked past the front of Palmer’s front door minutes before the explosion occurred. One of the bomber’s body parts was found on their doorstep. 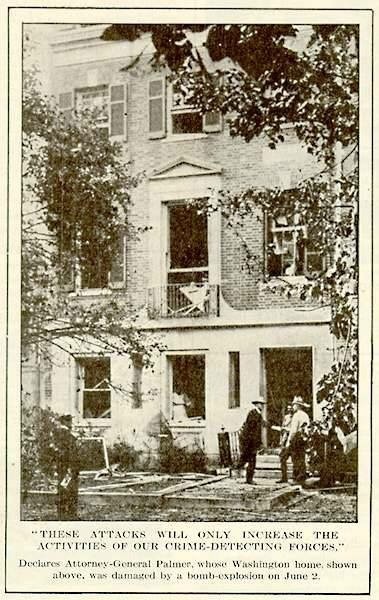 Interesting how closely fate comes to changing vast segments of history; the neighbors that barely escaped were Assistant Secretary of the Navy Franklin Delano Roosevelt and his wife Eleanor. 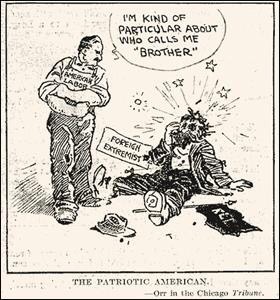 Palmer was famous for the Palmer Raids, which targeted radical foreign anarchists for arrest and deportation and which helped launch the career of J. Edgar Hoover.